1. Start Starcraft. 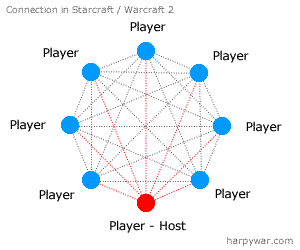 Connect to any Battle.net server. Login is not necessary. 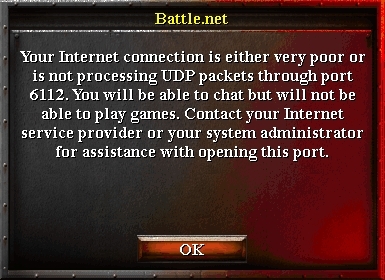 If you receive a message "Your Internet connection is either very poor or is not processing UDP packets through port 6112" then it means that port 6112 is blocked. In most cases not only one port but all UDP traffic is blocked by your router device or a firewall on your computer. Also this may be if you use a proxy like VPN connection that doesn't support UDP packets.